During the summer of 1943, thousands of U.S. Navy sailors pass through Los Angeles on their way to the front lines of World War II. Music and dance absorb their last carefree moments. Dancing with local Mexican American girls, the men jitterbug and rumba long into the night. For Mexican American boys, zoot suits are both the current fashion rage and a status symbol. One night, in an eruption of racial violence, these Mexican American boys are senselessly beaten, arrested, and thrown in jail. 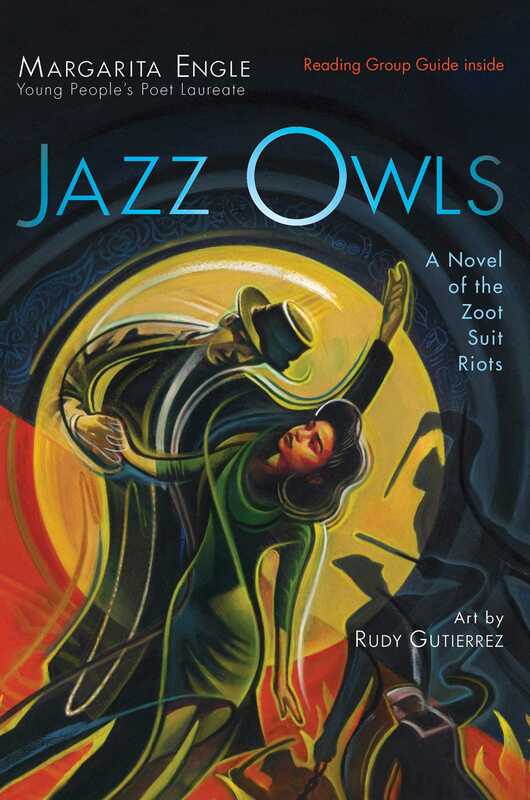 Written in verse from multiple points of view and based on true events, Jazz Owls explores the Zoot Suit Riots that rocked Los Angeles. Riots that started with a murder. Alongside explosions of violence and racism is a story about women working on the home front, the drive to rise above circumstances, and the desire to be noticed for who you are rather than the color of your skin. 1. Look at the cover, title, chapter sections, artwork, and years covered in the book. What do you think this story is going to be about? What kind of tone is set? As you read, do your predictions change? Keep track of evidence that supports your predictions, as well as anything that changes your expectations over the course of the story. 2. Do an online search for audio recordings of artists performing Big Band Swing, rhythm and blues, Afro-Cuban music, and jazz. Get a sense of the 1940s’ music and dance styles to help your understanding of the culture in Los Angeles during that time. Consider the ways in which this music is similar to contemporary popular music today. Do you recognize any particular sounds or content? In what ways is it different? 3. Search an image source such as ImageQuest or Google Images to find pictures of zoot suits. Familiarize yourself with the look, colors, fabric, and drape. Compare this to today’s clothing styles. Do you notice any similarities in design, color schemes, or materials? 4. What does it mean to be part of a clique or social group? What benefits or disadvantages stem from being part of a group like this? In what ways are different groups of people treated differently in this story? As you read, take note of the types of groups in the story and how they are treated. 5. Do you believe there is ever an appropriate time to use violence to resolve conflict? As you read Jazz Owls, think about the role of violence and its widespread effects. Does your answer to this question change, or do you feel even more strongly about your original answer? Cite evidence from the text to support your beliefs. 6. As you read through the story, note the attitudes of the sailors and police along with their justifications of the riots and why they occurred. Why do you think these groups acted in this way? What was your reaction to their justifications? 1. This is a work of historical fiction. What is historical fiction? Why do you think the author has chosen to write this novel in verse? 2. Throughout the book, the author chooses to use words in Spanish, words in different font sizes, words in bold and italics, and unconventional spacing. What is the purpose of formatting the text in this way? Does it help you in your understanding and reading of the book? Explain your answer using examples from the book. 3. How has the author organized this story and the information presented? What is the theme or central idea of the story? What are key features that help you understand the theme as well as the important ideas and details? Note any symbolism and how it relates to the theme. Back up your ideas and findings with evidence from the story. 1. Create a chart with columns. Put the name of each main character at the top of each column; you can group reporters into one column, policemen into another, and sailors into a third group. Under each character name, jot down key words to describe their characteristics, beliefs, and attitudes. When you finish reading, use a site such as Wordle (http://www.wordle.net/) to create a word cloud for each character. Use this to compare and contrast with characters like Lorena and Marisela. What do they have in common? How are they different? How do they change over the course of the story? 2. Research and build your background knowledge of the Sleepy Lagoon murder that took place in 1942. Use old newspapers, encyclopedias, and databases to help you. Why is this event important to this story? What role does it play in the Zoot Suit Riots? Do you think the riots would have occurred if the murder had not been committed? Explain your reasoning using evidence from your research and the story to support your answer. 3. 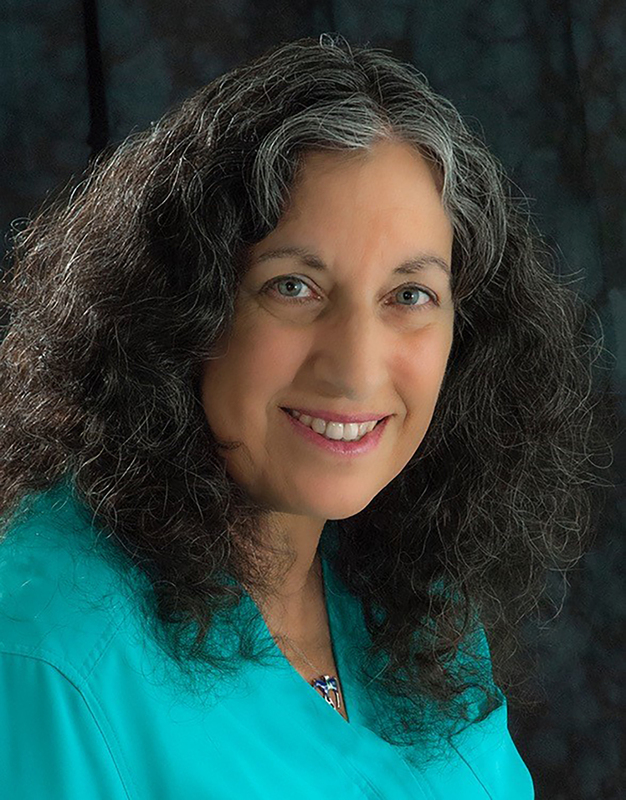 Describe the significance of music and dance to Mexican American youth during this time period. Where does the term Jazz Owls come from? Is this a good description? 4. What were the obstacles that Ray, Lorena, and Marisela had to face growing up in LA in wartime 1940s? Why is this important to the story and these characters in particular? Consider time and place, setting, social pressures, and group dynamics as you find examples of obstacles and the ways these characters were influenced throughout the story. 5. Ray is a complex character who faces significant challenges over the course of the book. Name some of those challenges. How does Ray deal with them? What events and people cause him to change? What kind of information could you provide about Ray that would fill in the gaps that the author doesn’t address? Create a presentation using narrative, graphics, sound, or images that shows evidence of Ray’s change in character and how this growth connects with the story’s bigger picture. Explain how things look for Ray at the end of the story, and make predictions on what his future might hold. Consider Ray’s less likeable sides, the pressures placed on him, and traits that may be more dominant than others as you create your presentation. 6. The Zoot Suit Riots broke out on June 3, 1943. Create a time line of events, people, and places over the course of the riots, being sure to include all the different groups and their points of view. 1. In the United States, people are guaranteed a fair and equal trial, deemed innocent until proven guilty. What might have influenced the court and the sentencing of the 38th Street Gang in the Sleepy Lagoon murder? Find evidence in the story to support your answer. 2. How were the Zoot Suit Riots handled by the police? Do you agree or disagree with their actions? Do you think similar kinds of riots could happen today? Read headlines and articles on popular news websites and newspapers from across the country. Do you see any parallels to today’s climate? What related desires, needs, and fears remain today? Include a variety of evidence to support your answer, such as quotations, examples, and definitions. 3. Racial profiling existed in 1943. Do you think it still exists today? What are some current examples of racial profiling? Do you notice any differences between the 1940s racial profiling in Jazz Owls and the events of today’s world? How do you think people can work to change stereotypes and unjust treatment? 4. During the war, women started working in factories and occupying roles that men had traditionally filled. They were earning higher wages and taking on more responsibilities. How do you think women and girls felt at the end of the war as many of them returned to traditional homemaker roles after doing what was considered “men’s work”? Find specific passages and examples in the book that show how Lorena and Marisela reacted during this time period. Share and discuss these passages with your class. 5. Mexican American WWII veterans fought in the war to defend their country, the United States. After they returned home, they were discriminated against by the same people they fought alongside. How do you think these veterans felt? How does the author give us insight into their feelings? Use the epilogue with information from Nicolás and Papi to support your conclusion. 6. The last line of the book reads “. . . and my hometown’s night sky was a river of music!” This mirrors the first section heading “The river of music, Los Angeles, California, August 1942.” Why do you think the author did this? How does this story come full circle? Explain your reasoning. Four posts written from the perspective of your character during various points in the book. One post must have a related image; be sure to cite your image if you use one from the Internet. Imagine what your character might look like, and include a photograph with a brief character description. A blog title that matches your character’s personality, with a quotation from the book related to your character as a subtitle. A link to a video, or an embedded video related to your character. Picture (in the frame space). Draw a picture or use one from the Internet that depicts the character at an important point in the story. A minimum of three hashtags. Consider popular, contemporary hashtags; do any of them fit this character or story? A minimum of two friends who like their photograph. What kind of comments would show up on their photos? Include at least one; be sure to follow school guidelines. 3. Create a scrapbook for one of the characters. Think about the kinds of mementos you would put into a scrapbook if you were to make one for yourself. Cut out pictures from magazines or draw in items that represent 1940s culture. Remember that scrapbooks also include writing, such as notes about mementos, captions, journal entries, etc. 4. Design playlists for one of the characters. Be sure the collection includes music that expresses diverse character traits and moods, and reflects their experiences during the story. You must include three playlists with at least six songs on each, as well as a paragraph describing why the character would have each playlist. Music can be from the 1940s or from today. Two stories related to the event. Include more than one point of view. Two additional stories related to the time period of 1942–43. The title and author of the book at the top in colorful letters, with the word “reimagined by” next to your name. Two important scenes from the book, depicted in nine to twelve images. The two scenes can be consecutive or separate events. Map out your strip by drawing boxes before you begin drawing scenes, and then outline and color in the images. Use speech bubbles to show conversation. You can add narration captions on the top or bottom of the strip as needed. A typed one-paragraph explanation of why these scenes are important to the book, and why you’ve selected them. Cut out and paste this paragraph to the back of your comic strip. For more books on WWII, please refer to this article from School Library Journal, February 6, 2018. Curriculum guide written by Sharon Haupt, District Librarian, San Luis Coastal Unified School District. This guide, written in alignment with the Common Core Standards (www.corestandards.org) has been provided by Simon & Schuster for classroom, library, and reading group use. It may be reproduced in its entirety or excerpted for these purposes. Rudy Gutierrez is an award-winning illustrator whose works have earned him a Pura Belpré Honor, Américas Book Award, Africana Book Award, and a New York Book Award. He was born in the Bronx and now lives in New Jersey.